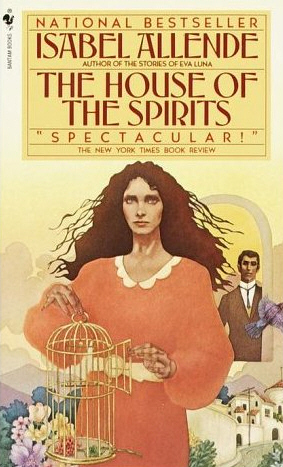 The House of the Spirits is like Latino Reading 101, to me, anyway. 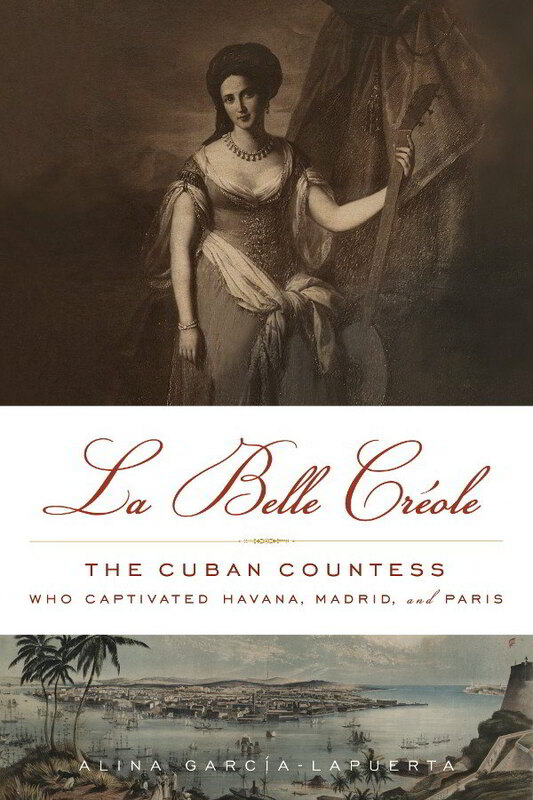 I have now read several works by Isabel Allende, and her writing is lyrical and moving. Her writing gallops at a wonderful pace, stopping here and there introspectively. The plots are wonderfully tangled and complicated. She plays the emotion in her characters like a harp. Incidentally, if you follow the Wikipedia page on Allende, you’ll find that she has faced as much criticism from her Latin American peers as she has found huge success worldwide. I won’t go into it here, but I do have to say that I am dumbfounded. I like her writing and her other books are even better than House, her debut novel. This book was the first time I was introduced to magical realism, a popular writing style in Latin America. Magical realism is what it sounds like. In The House of the Spirits, it is introduced as a matter of fact that Rosa has green hair: “At birth Rosa was white and smooth, without a wrinkle, like a porcelain doll, with green hair and yellow eyes — the most beautiful creature to be born on earth since the days of original sin, as the midwife put it, making the sign of the cross.” Enter in giant dogs, an uncle who invents a flying machine, and the main character, Clara, who is both clairvoyant and can move things with her mind – and you get an interesting read. But wait, there’s more! The book takes place in an unnamed South American country that bears a striking resemblance to Allende’s home country, Chile. Hop on and gallop through the modern Latin American history while you’re at it. Sometimes I sit down to write and think, What do I write about? What interesting thing has happened to me that qualifies me to write a piece that is lucid on the topic of human nature? What can I say, it’s a writer’s neurosis. 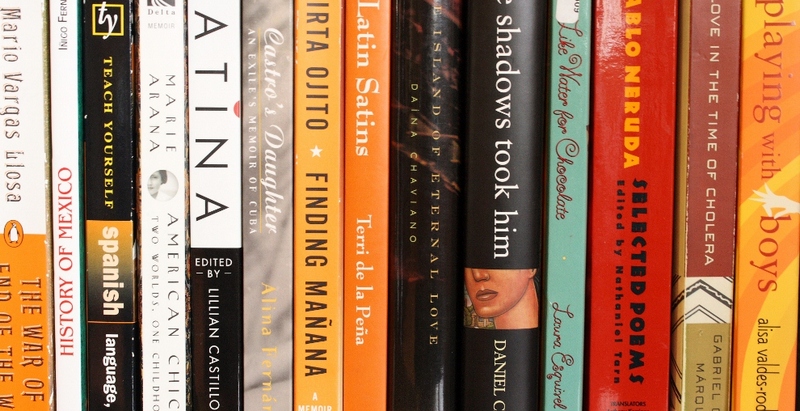 When I read works by Latina authors, I find myself relating to them, nodding my head and thinking, “Exactly!” and, “How did they know that?” It is then that I realize that writing what you know is hard because it’s actually writing everything that you take for granted. Anyway, I was looking back over this book which I read a few years ago and wanted to focus on an author whose work I haven’t read. I picked Helena Maria Viramontes. Viramontes is the author of The Moths and Other Stories, Under the Feet of Jesus, and Their Dogs Came with Them. The interview touches on several topics from farmworkers to her personal life to the influence of corridos. I LOVE that Viramontes says that the answer to whether to italicize phrases in Spanish is “absolutely not.” I feel the same way, at least for Latino literature. To me, Spanish is not a foreign language in our culture, so I don’t think the style rule applies. 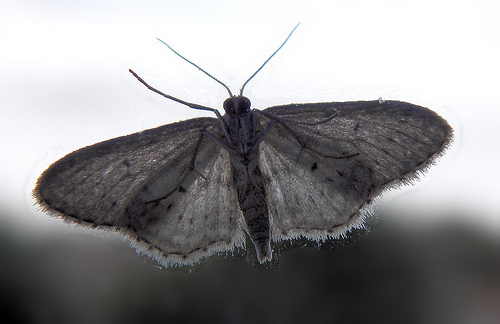 One of Viramontes’s well-known short stories is “The Moths,” about a girl and her dying grandmother. The haunting story was inspired by an equally haunting photograph of a Japanese woman bathing her deformed child. Just yesterday I opened the window while toasting chiles on the placa, and wondered to myself why I don’t just roast them in the oven like I see gringos doing on television. Maybe it wouldn’t burn so much. But no, that wouldn’t be like my abuela did. And that simple part of making dinner made me remember my abuela and her housekeeping, her embroidery and tejidos, and sus hierbas for curing all ills. Today I read about my grandma in Viramontes’s story. I won’t reveal more details because it would spoil such a short story. You have to read it yourself. But I think that this is the greatest compliment I can give an author – that when I read this story, I saw myself. I honestly don’t remember many pictures books from my childhood, though I know I read many. I started reading “chapter books” (I forgot that children call them that until my ten-year-old niece said it) when I was eight years old. I lovingly remember books by Laura Ingalls Wilder, Roald Dahl, Judy Blume, Gary Paulsen, and so on. But did I read anything written by a Latin@? No, I didn’t discover that until I found Sandra Cisneros at 14. Now, I know that there must be some childrens and YA books by Latinos out there, but I didn’t find it back then, and I read so voraciously from a young age that I quickly moved onto literary fiction adult titles to satisfy my appetite. Anyway, on to these two bilingual books, both by Children’s Book Press, a non-profit publisher of multicultural books for kids. I make wild suns with my open hands. 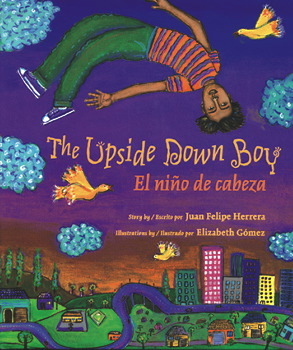 The illustrations are by Elizabeth Gomez. The creative, fantastical images accompany the writing perfectly. I’m so excited about this author and the other works I saw on his website, and I actually found out that two more are available at my library. I will definitely be reading more by him! new country. She finds out that her dad is actually an American citizen. He goes to find work and leaves the family behind for a short time while applying for green cards. César Chávez and the grape boycott make a cameo in the book! I was impressed by the clear writing that is honest about the scary situations the family faced; but the tone keeps it interesting and wouldn’t freak a child out (I was really wondering how that would pan out when I started reading). 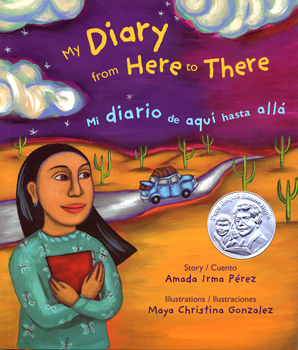 The book is illustrated by Maya Christina Gonzalez. I loved the vivid colors of the art that has a definite Chican@ style. 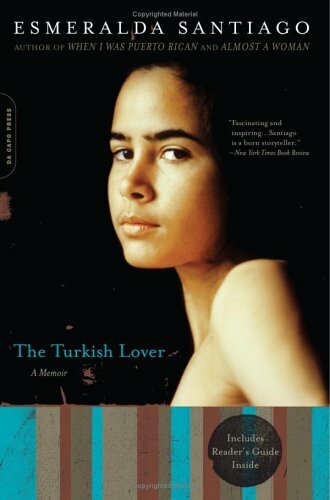 Esmeralda Santiago’s book The Turkish Lover is about, well, her Turkish lover. If by lover you mean a narcissistic, pathologically lying, philandering, and controlling abuser. This book was well-written, but hard to read. It wasn’t the writing but that I was so frustrated with the author – I kept thinking, “No, don’t go back to him! Oh my God, after what happened you’re going back? Why? Why? Why?” But it can’t be as hard as what she went through, slowly extricating herself from Ulvi’s grasp. Not everybody is able to get themselves out of relationships that are physical or emotionally abusive. If you know someone who is abused, one place you can go for help is the National Domestic Violence Hotline at 1-800-799-SAFE.